You have your emotions attached with the carpets of your house because it is the place where you spend a lot of comfortable moments with your loved ones. But wait, think of a situation where you get your favorite carpets attacked by the molds. Yes, it can be highly worrisome and why not? You would have spent a lot of time and effort on maintaining your expensive carpet throughout your home. However, the Water Damage Restoration Florida services offers five important tips which you can follow to reduce the attack of molds at your home on your favorite carpet(s). Humidity and Temperature: The growth of mold starts at the areas which are highly exposed to moisture and temperature. If your home has a humidity level greater than 60 percent (note: Florida’s humidity level can get as high as 90 percent), it is a value worth your concern because it is the appropriate humidity level for the growth of molds in your house. Floor Covering: There are areas in our house which are highly exposed to water, either it is at the floor or in the environment such as bathroom, kitchen, garage, laundry room, and other lower levels of your home. Therefore, you must use a floor covering that is waterproof in nature or does not get affected by the present moisture in the area. Padding Carpets: As your carpets are exposed to huge amounts of dust and dirt, the chances of growth of microbes are very prominent. This is why, you can go for the padding material like rubber which is a great choice for preventing microbial growth and mold development. 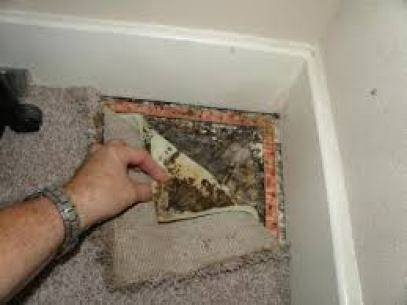 Avoid Wet Carpets: Wet areas are highly prone to the formation of the molds. In case your carpet is exposed to large amounts of water due to any reason, make sure you immediately get your carpet dried because small food particles and water in carpet could easily lead to development of the mold. Regular Cleaning: Last but not the least is the cleaning of carpet. You must make sure that your carpets are regularly cleaned from dust, food, pet hairs, and any other substance that could lead to growth of the molds. You can also work on routine vacuum cleaning to avoid formation of molds. In case the molds formed at the carpets become black or severe, then the only option in such a case is to reach for the professional and expert cleaning service who could help you with quick water damage restoration solutions within hours. Do not hesitate to call Service Master by Alpha Restoration at 305-899-1600, located in the heart of Miami near the Turnpike, which means we can get to just about every South Florida location within 20 to 30 minutes.